The artisans of Empower, belong to various tribes spread across the seven states of northeast India. These women have learned their traditional weaving skills from their mothers, who in turn learned the skills from their mothers, in keeping with a centuries-old tradition of knowledge and skill inheritance. The fabric woven by these women artisans is not only made with traditional hand-looms, it is woven using traditional weft and warp techniques and timeless designs that are unique to their individual tribes. Even the colours and combinations of them used in their designs are typical of their tribes. All we do with this traditional fabric is adapt it to modern apparel and accessories, that too, using other local tribe artisans. Together, we not only produce eclectic ethnic products from northeast India, we also help in keeping the centuries-old craft of hand-weaving alive and flourishing. The artisan partners of Impulse Social Enterprises lead complex lives, and are always multi-tasking between managing their homes, helping out their parents and/or spouses, and topping up their family income by weaving cloth for Impulse Empower in their spare time. The added income not only helps their family, and helps prepare future generations for the future, it also provides our artisan women with a safe working environment to further their own professional dreams and individual skills. 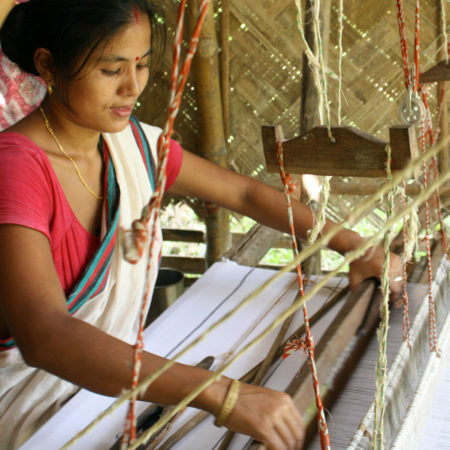 Impulse Social Enterprises today partners with around five thousand women artisans spread across northeast India. To know more about some of them, please go through their profiles below.